James Cowan 1870-1943 Used with permission of DNZB Wellington, New Zealand. In the first 40 years of the twentieth century James Cowan was one of New Zealand's most widely read non-fiction writers. He wrote over 30 books and hundreds of articles for newspapers and magazines, mainly about New Zealand's ancient and recent past, its resources and scenic attractions. Although little read today, during his lifetime his writing did much to shape the way New Zealanders perceived their history. He was born at East Tamaki on 14 April 1870. His father, William Andrew Cowan, had emigrated to New Zealand from Ireland in time to fight as a soldier in the Waikato war, and in 1866 married Elizabeth Jane Qualtrough, his second wife. The family was living with Elizabeth's parents at Pakuranga when James was born, and a few months later moved south to a block of land near Kihikihi, where Cowan and his brothers spent their childhood. The farm was part of land confiscated from Maori who had fought against the Crown during the 1860s, and was close to the Puniu River border of the King Country. The wars and the fear of further fighting still dominated local life when James was young. The family lived within sight of a military blockhouse garrisoned by armed constabulary, and the local settler militia drilled regularly. The farm included part of the famous battlefield of Orakau. Cowan's lifelong fascination with Maori and colonial history grew out of his childhood experiences in this environment. Despite the wariness between the two races the Cowan family were drawn into economic and social relationships with Maori. At the end of his schooling James's fluency in Maori and his academic ability led to the prospect of a career in the Native Department, and in 1886, after passing the junior civil service examination, he was offered a cadetship in Wellington. The offer was turned down, partly because his mother felt James was still too young for city life. He had probably already decided that he wanted to be a journalist. In 1887 he had two articles published in the New Zealand Herald , and the following year he was employed as a junior reporter on the Auckland Star , where he stayed until 1902. This literary apprenticeship developed Cowan's ability to write prolifically in a style that was unique, racy and, by modern standards, sometimes rather florid. His assignments enabled him to pursue his passion for bush exploration and research into Maori and Pakeha history. Formative journalistic experiences included interviewing Robert Louis Stevenson when the writer visited Auckland in 1893. Cowan married Eunice Lililia Nicholas in Auckland on 25 July 1894. They had no children and relatively little is known of Cowan's life outside work during these years. Although he was always keen to leave town when an opportunity arose, he also enjoyed the city. He liked yachting and rowing and life in a thriving port also fostered his interest in the traders, sailors and ships of the southern Pacific. In 1901 he had his first books published: a short guide to Taupo (for a tourist operator) and a catalogue of Gottfried Lindauer's Maori paintings. In 1903 he moved to Wellington and a job as journalist with the new Department of Tourist and Health Resorts. His major task was to publicise areas that were being opened up for tourism, particularly in the South Island. In addition to magazine articles he wrote three books on South Island tourist attractions, a record of the 1906--7 New Zealand International Exhibition at Christchurch, and an all-encompassing tourists' handbook, New Zealand, or, Ao-teä-roa (the long bright world): its wealth and resources, scenery, travel routes, spas, and sport. The work gave him new opportunities for exploration and research into the history of parts of New Zealand he had not previously visited. Eunice Cowan died in 1909 and about this time James left the department to take up freelance writing. In addition to the bread and butter work of newspaper and magazine articles, mainly for the Canterbury Times , he had six books published in four years. The most ambitious was The Maoris of New Zealand (1910), which attempted a general survey of Maori life and history, drawing heavily on his own knowledge, mainly of central North Island tribes. The following year he published The adventures of Kimble Bent , based on interviews with the old Pakeha-Maori. It was the first of several studies of colourful frontier figures, and, like many of his books, had previously appeared as a series of newspaper articles. Other publications included two tourist booklets, and a short piece on the dolphin Pelorus Jack. He married again, at Wellington on 8 September 1913. Eileen Constance Stowell was the daughter of the noted Maori scholar and translator Henry Stowell (Hare Hongi). After this Cowan turned again to full-time newspaper work, this time in Christchurch, where he worked for the Lyttelton Times and then the Christchurch Star as a sub-editor and leader writer until late 1917, when he returned to Wellington. In these years he produced a booklet on Samoa to mark its occupation by New Zealand in 1914, and a descriptive guide to Christchurch. He continued to seek out informants for oral history, including Ngai Tahu leader Hone Taare Tikao, whom he and his wife often visited at Rapaki. The book for which Cowan is best known, and on which his reputation now largely rests, is the two-volume The New Zealand wars: a history of the Maori campaigns and the pioneering period (1922--23). It is a lively, detailed and, until recently, definitive account, which remains a classic of New Zealand history and literature. The work was funded by the Department of Internal Affairs, who paid Cowan a salary for four years from 1918 until 1922. This security gave him the opportunity for more extensive research than he was able to give to any other project, on a subject that had fascinated him since childhood. In addition to searching out printed and manuscript sources, he visited and explored the battle sites and sought out Maori and Pakeha veterans of the campaigns. The book does not explore the causes of the wars, and to modern readers it can appear uncritical of the imperial process, but Cowan's comprehensive and sympathetic use of both Maori and Pakeha oral and written sources gives it an enduring value and appeal. Cowan briefly had hopes of a post as an official historian, but they came to nothing. He returned to freelance writing and, for a time, newspaper work, from which he was able to make enough of an income to support his wife and two young sons. The New Zealand Railways Magazine , New Zealand Free Lance and the New Zealand Returned Soldiers' Association's Quick March were three regular outlets. The many others included a children's page for the Auckland Star , a series of cigarette cards of New Zealand scenic sites and famous people, and two film screenplays. By the late 1920s Cowan had built up a large personal library of research material, clippings of his earlier articles, photographs and maps, which he often recycled to maintain the prolific output he needed to survive as a writer. Maori ethnography was another area in which Cowan continued to specialise, drawing heavily on his store of Maori oral history. Much of this work was produced in a popular form. Whenever possible he incorporated Maori history and traditions into his tourist guides, and he also produced children's books of Maori folktales and a booklet of biographies of Maori chiefs. Such work led Elsdon Best to privately complain about Cowan's 'facile' translations and 'very ordinary knowledge of the Maori tongue'. 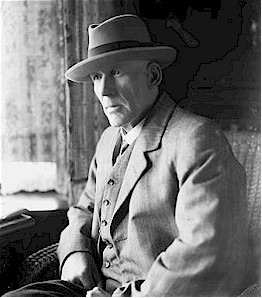 But Cowan also produced much work that was valued by his more selfconsciously scholarly contemporaries, including a series of articles in the Journal of the Polynesian Society , the two-volume Legends of the Maori (1930--34) written with Sir Maui Pomare, and The Maori yesterday and to-day (1930), a reworking of his earlier Maoris of New Zealand incorporating later field work. Cowan's attitude towards Maori was more sympathetic than that of most of his contemporaries. Like other Pakeha writers he tended to romanticise earlier Maori life and traditions (although he was an incorrigible romanticiser of settler history as well). Much of his earlier writing about the frontier contains implicit assumptions about the inevitable decline of Maori society in the face of colonisation, but he always held contemporary Maori in higher regard than did writers such as Best. He became a strong supporter of the work of leaders like Te Puea Herangi and Sir Apirana Ngata to rebuild tribal economies, and was aware of the need to foster the Maori language. This sympathy did not extend to other races, and he shared the contemporary antipathy towards 'the undesirable Oriental'. As he grew older Cowan suffered badly from rheumatism, which eventually made field work impossible and slowed his ability to research and write. The economic depression of the 1930s also affected his income, and with two young sons to support he was financially insecure. Some relief eventually came through official channels. In 1934 a deputation asked the minister of internal affairs to consider granting Cowan a pension, because of his failing health and because he 'had never made any money out of his historical books but had done very good work for the country'. Included in the deputation was the New Zealand Labour Party politician Peter Fraser, a great admirer of Cowan, and after the Labour election victory the following year Cowan was granted an annuity of $152.18 He and the poet Jessie Mackay were the recipients of the first such state support for New Zealand writers. Cowan had acquired the status of an elder statesman of New Zealand letters. This did not prevent an unhappy experience with his last major book, Settlers and pioneers , written for a series to be published under the auspices of the National Centennial Historical Committee for the celebrations in 1940. The young scholars and writers of the Centennial Branch were not impressed by what is admittedly not one of Cowan's best works. They insisted on changing the title from Cowan's preferred 'Farmers and frontiersmen', and a chapter about the New Zealand wars was vetoed because it was too 'outspoken' and 'inappropriate to an official Government publication'. Cowan also argued over the use of illustrations, but he was ill and reluctantly accepted the changes. He informed the committee that the decision to remove the chapter on the wars was wrong as it was 'perfectly accurate history' giving information that needed to be told forcibly, especially to Waikato Pakeha 'who are an ignorant lot'. He was upset when Eric McCormick's centennial survey, Letters and art in New Zealand , largely ignored him and other bilingual scholars and writers he admired. His health deteriorated rapidly after 1941 and the last year of his life was spent in the Otaki Beach hospital, where he died on 6 September 1943, survived by his wife and sons. After his funeral, where local PEN members were pallbearers, his ashes were taken to Auckland where they were scattered on the Waitemata Harbour. The original version of this biography was published in the Dictionary of New Zealand, Volume 3 (1901 – 1920) 1996. Crown Copyright 1996 – 2002 Published by the Ministry of Culture and Heritage, Wellington, New Zealand. All rights reserved.